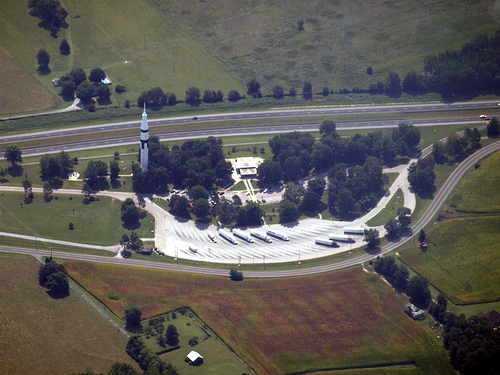 A few miles into Alabama from the Tennessee side sits the Ardmore Welcome Center. I like to stop at State welcome centers; they're usually staffed, clean, and offer more parking than standard rest areas on the Interstate. They also like to tout why their state's pretty darned special, and they like to display items of local association and pride. They have an assembled Saturn IB rocket on display. Take that, Florida!! The early US space program was rife with political pork-barreling. If it weren't for then US Senator Lyndon Johnson and his cohorts, the famous Apollo 13 quote may well have been "San Francisco, we have a problem." Seriously. Huntsville, Alabama gained favor with the military in WWII as Redstone Arsenal, a chemical munitions center. 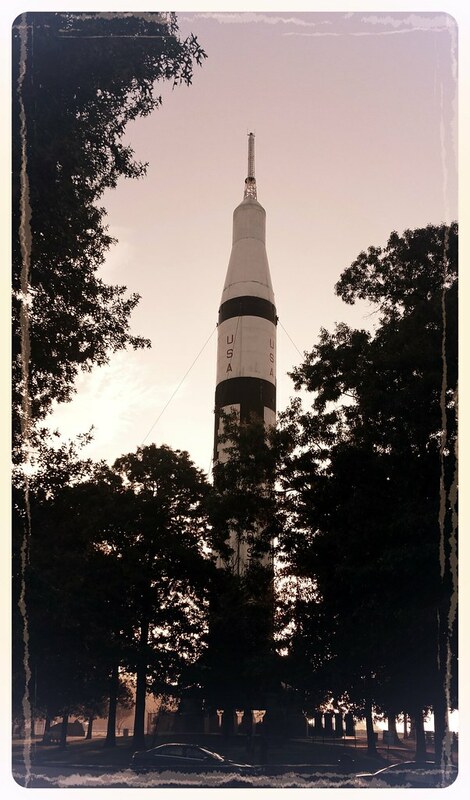 That association, combined with congressional and military influence, succeeded in turning Huntsville into "Rocket City", staffed with a group of rocket scientists led by none other than Wernher von Braun. Initially tasked with developing military rockets and guided missiles, Redstone became the Marshall Space Flight Center in the summer of 1960 after Russia successfully launched Sputnik 1 and 2 (plus an unfortunate dog name Laika) into space while America managed to get only 3 out of 11 Vanguard rockets into orbit (WTG, Navy!). Somewhat panicked, Eisenhower signed the dotted line and Redstone was no longer a simple military arsenal. And overnight, the Watercress Capital of the World became the home of the largest collection of slide rules in the Western Hemisphere. 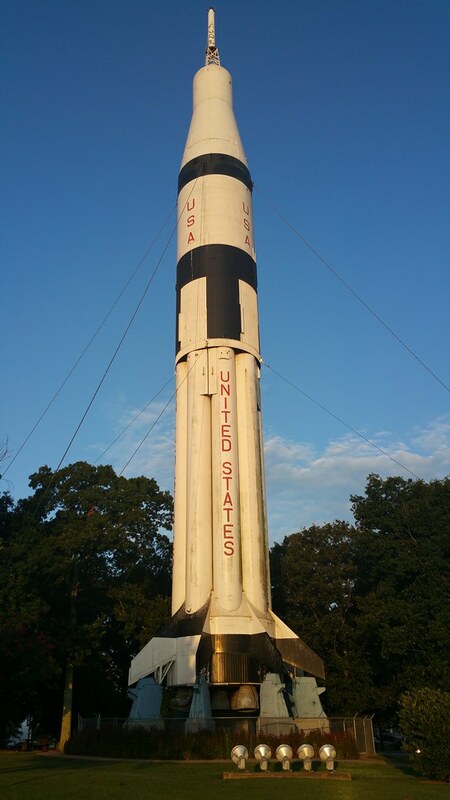 von Braun's success with the Redstone rockets brought the space program to Huntsville. Mercury-Redstone rockets tossed Shepard and Grissom into low Earth orbit, then they hunkered down to figger out that pesky heavy lift Apollo thing. Meanwhile, NASA, assigned with a dozen manned Gemini flights critical to the success of the Apollo mission, tapped the Vanguard manufacturers to build us something somewhat more reliable than their first attempt. Build these without the expoding feature this time, please. In the meantime, Marshall worked on heavy lift. And aced it. 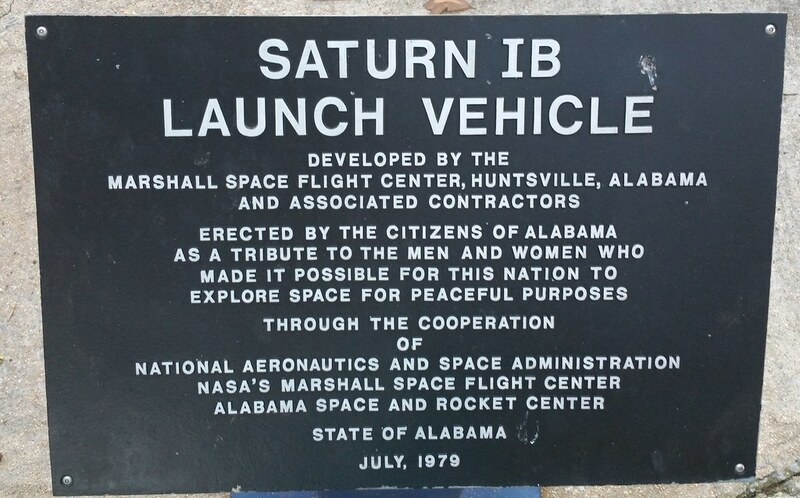 There were 32 Saturn family rocket launches from 1961 to 1973. There were a couple of second stage engine hiccups that didn't affect the mission, and one heartbreaking tragedy during a launch rehearsal, but no dismal engineering failures. In fact, their last iteration, the Saturn V, remains the biggest, baddest rocket ever launched. The Saturn V was launched 13 times from the Kennedy Space Center in Florida with no loss of crew or payload. The Saturn V remains the tallest, heaviest, and most powerful rocket ever brought to operational status and it still holds records for the heaviest payload launched and largest payload capacity to low Earth orbit of 140,000 kilograms (310,000 lbs). There were 14 Saturn IB rockets built. Nine were launched with zero failures. SA-201 through 204 were unmanned. SA-205 boosted Apollo 7 into space. SA-206 through SA-208 flew Skylab's first three crews. SA-210 took the American crew to the Apollo-Soyuz dog and pony show. SA-209 was destined as a rescue ship, to potentially rescue Skylab's crew 3 and stood standby to launch as a backup to Apollo-Soyuz. The second stage section of SA-212 was used as the main section of Skylab and was boosted to orbit on top of the last Saturn V to ever fly. SA-213 and -214 weren't fully assembled and were eventually scrapped. 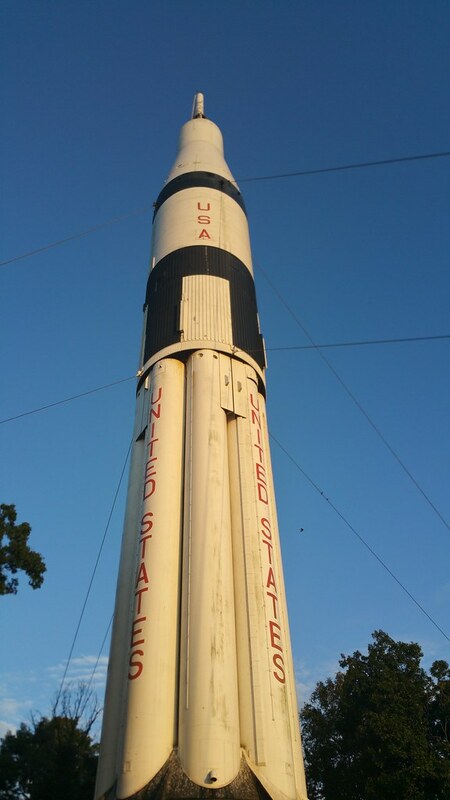 So while Alabama's Welcome Center seems to jump the shark, it's actually quite an authentic tribute to the area's contribution to space exploration.